Another disturbing act of violence was committed at a family planning clinic when someone threw an ignited container of diesel fuel at the Planned Parenthood in McKinney, Texas late last night. 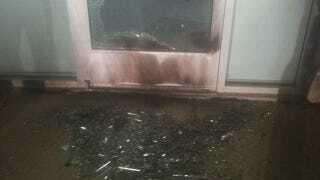 The bottle broke the clinic's glass door and started a small fire, but thankfully no one was inside at the time. "We have not had this kind of violence at any of the other locations in the past. I believe we've had some vandalism in the past but that was a decade or so ago. We have never had any kind of attack to this degree."